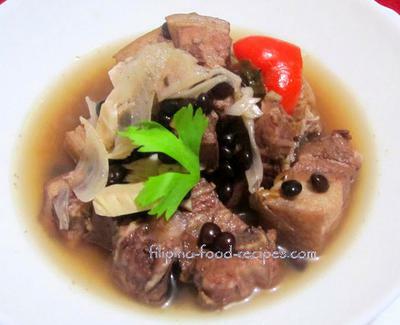 Kadyos, Baboy, Langka or simply KBL is a popular Ilonggo dish where kadyos or pigeon pea is abundant. When one says KBL, it usually refers to the popular political party of the late president Marcos. However, KBL in food is Kadyos, Baboy, Langka. Made from kadyos or pigeon pea, pork (baboy) and jackfruit (langka) with a sour, tart taste of the tamarind and the citrusy aroma of lemongrass. 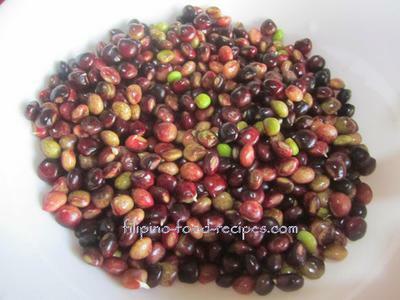 I was told by a friend that in their province of Iloilo, they use batwan fruit as a souring ingredient. It is a round greenish fruit with a very sour pulp. Try cooking it some time for your family. 1. Soak kadyos in water overnight. Rinse. 2. Boil the beans for 10 mins. and set aside. 3. Boil the meat in water with onion and lemongrass and Knorr cubes until tender or about 30 minutes or so. 4. Add in the the fish sauce then simmer for another 15 minutes. 5. Stir in the jackfruit, sampalok mix, and ground pepper. Simmer until the jackfruit is tender, about 15 minutes. 6. 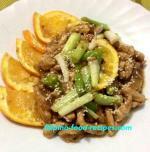 Top with red bell pepper, and serve with rice.